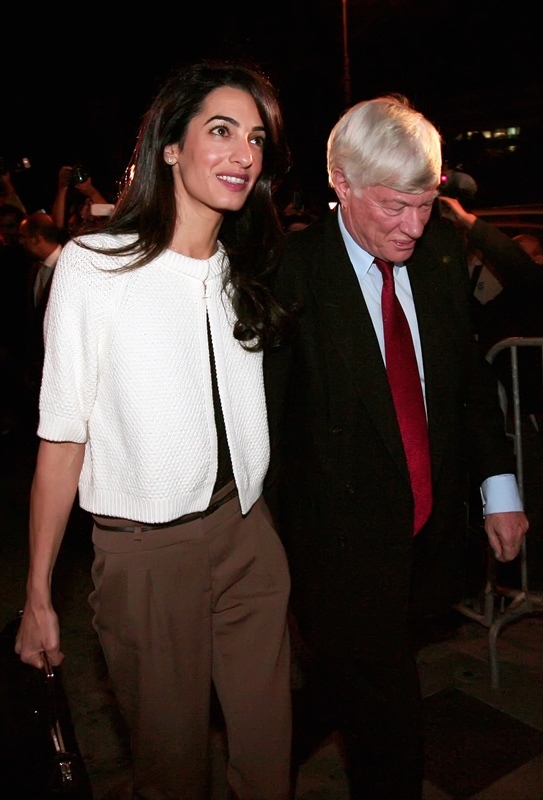 Amal Alamuddin married George Clooney. 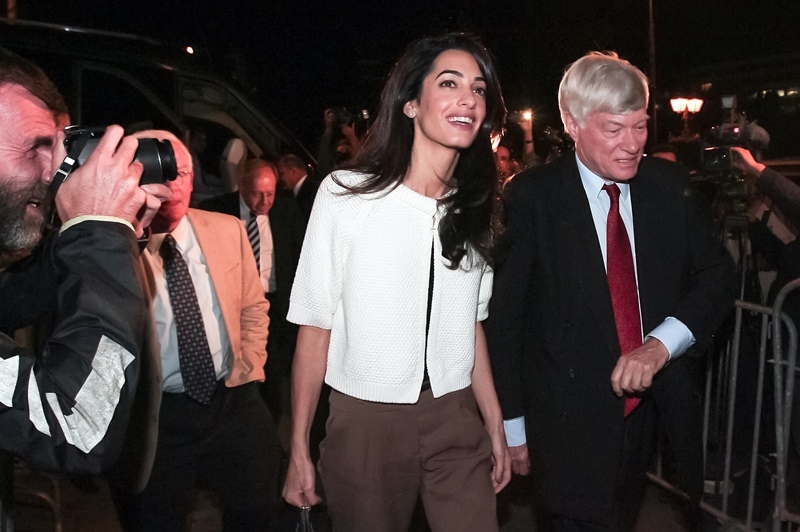 She’s now officially changed her name – and it’s reflected on her firm’s website, which I’d show you, except that it’s crashed…because everyone wants to see that she’s now listed as Amal Clooney. I think she handled that pretty well, non? Then again, George Clooney wouldn’t have married a woman who’d look for a trash can to jump into to avoid the paparazzi. Does she seem like she’s enjoying it? Sure. She certainly doesn’t seem like she hates it. Is that OK? Well, that’s what you’d expect of a barrister, non? Exploit whatever advantage and influence you have to get the result you want? It would appear than that in addition to her research and negotiation tactics and what I imagine is strategic case analysis on human rights and international justice, she’s acquired a new weapon: fame dazzling. Good luck, opposing counsel.